See why Signature Mobile Bottlers has earned its reputation as the finest mobile bottler in the industry. 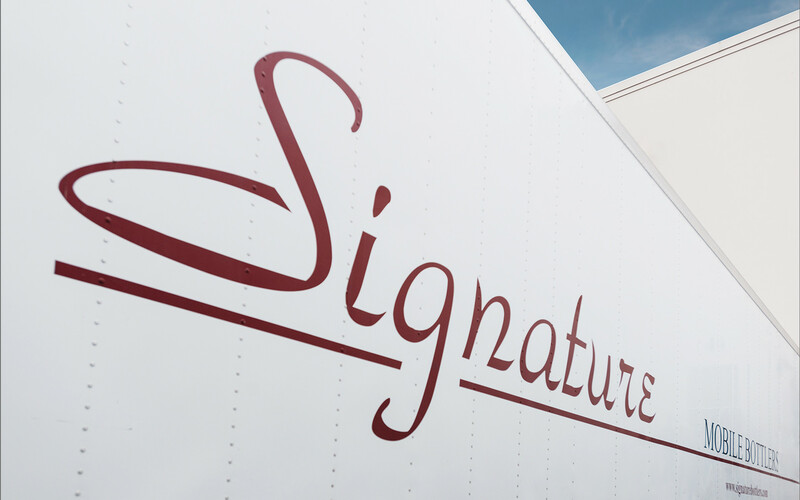 Signature Mobile Bottling trucks are custom built, in house by our team, and are designed for maximum efficiency, easy setup, and quick changeovers. We provide a clean, sterile environment for your wines to be bottled. Planning the wines progress, then, estimating an approximate time for bottling is always the first step. “Bottle no wines before their time”. Signature’s fleet of 15 Mobile Bottling Lines provides for easy scheduling, and flexibility. We have worked hard for the best reputation in the industry. Give us a try, and you will see the Signature difference.